Oppo appears to be readying another large-screen, mid-range smartphone with water drop notch display. The Chinese smartphone maker could release the Oppo A7X in China. According to the latest leak about the device, the smartphone will launch on September 20. Perhaps Oppo could be readying the F9 for the Chinese market with just a simple rebranding. Still, some reports that claim to offer information about this very device, insist the smartphone packs a larger battery. As per the information obtained from the latest leak, Oppo could launch the new Oppo A7X in China on September 20th. Incidentally, Oppo will reportedly launch only a single variant of the mid-range Android smartphone with 4GB of RAM and 128GB internal storage. Given the pricing of the alleged A7X, it seems Oppo could launch two variants of the smartphone, with one having 4GB RAM, and another 6GB RAM. However, the leak mentions only one variant with 4GB RAM. In other words, there’s still a little ambiguity about the variants. 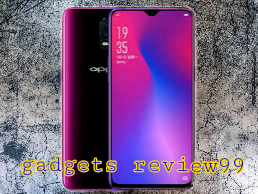 In India, the Oppo F9 was launched alongside the F9 Pro. Although both of them share the same internals, the F9 Pro does come with VOOC Flash charge, 6GB of RAM, and a 24MP front camera. According to the leak, the Oppo A7X for China gets a 6.3-inch Full HD+ LCD display with 2340 x 1080 resolution, water drop notch, and a 19.5:9 aspect ratio. The smartphone will have glass back with a diamond cut pattern, as well as standard fingerprint sensor. MediaTek Helio P60 processor clocked at 2.0GHz and paired with the Mali-G72 MP3 GPU will powers the device. The China-specific variant, supposedly, will only come with 4GB RAM and 128GB of internal storage. A micro-SD card slot is available to increase the storage. The Oppo A7X will get a dual-camera setup at the back. The primary camera will be 16MP, and the secondary would be 2MP. Both of these cameras will carry an f/1.85 aperture. As is the norm, there will be AI assistance for taking photos. On the front, you will find another 16MP sensor for selfies just like the Oppo F9 in India. Meanwhile, the F9 Pro in India has a larger 24MP front camera. The leak mentions A7X will have a powerful 4230mAh battery. Surprisingly, there is no mention of any Fast Charging support. However, this could be a simple omission of information for the time being. The mid-range Oppo A7X will run the latest ColorOS 5.2 out of the box, which is based on Android 8.1 Oreo. The smartphone will measure 156.7×74×7.99 mm and weigh 169 grams. Quite a few smartphone companies have been launching rebranded devices in select regions. The Oppo A7X could be part of the trend. Whatever the case, we at MSP Gear will certainly offer any new information about this capable mid-range Android smartphone from Oppo.